In 16 states, religious day cares are exempt from at least some regulations. Lawmakers in the Alabama House of Representatives resoundingly voted 88-9 to increase oversight of unlicensed religious day cares, a big step for a state with the most sweeping religious exemption in the country. “This is a major accomplishment,” said Rep. Pebblin Warren, D-Tuskegee. She said she sponsored the Child Care Safety Act, HB 277, to “clean up some corruption” in unlicensed religious day cares. Warren’s bill initially would have abolished the religious exemption, requiring the more than 900 unlicensed child care centers in the state to become licensed. But Warren said “the church folks went crazy” over that, with conservative lobbying groups and politicians labeling the bill an attack on religious freedom. She introduced a more limited version that requires only day cares that receive state or federal funding to be licensed. Around 500 religious day cares would be subject to the new standards; more than 400 others would not need licenses but would be inspected annually. Sixteen states exempt faith-based day cares from certain licensing requirements, but no state’s exemption is as broad as Alabama’s. Alabama currently has almost no requirements for nearly half of the state’s day care facilities. Religious day cares don’t have to train their workers in CPR, hire a minimum number of workers, follow child-to-staff ratios or be regularly inspected. Fire and health inspectors are supposed to clear such day cares to operate, but no state regulators ensure that those inspections have been completed. Despite practically no oversight, these religious day cares amassed more than $123 million in federal child care funding from 2011 to 2014, according to data analyzed by Reveal from The Center for Investigative Reporting. 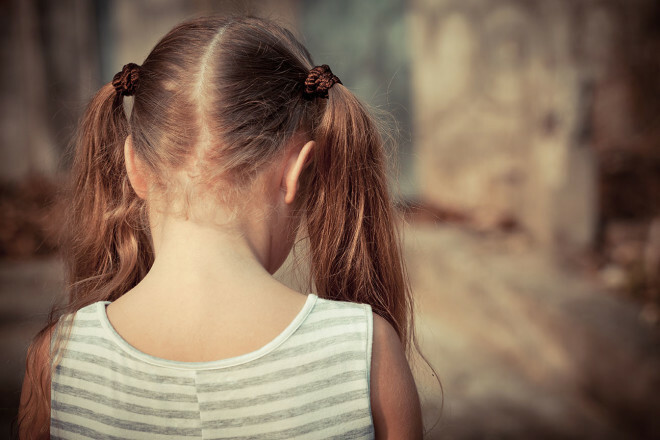 A Reveal investigation found that in Alabama’s two largest counties, parents complained more than 50 times from 2010 to 2014 that their children were hit, slapped and punched at religious day cares – often so hard that they sustained bruises and welts. At nonreligious facilities, the state Department of Human Resources could have thoroughly investigated any of these complaints. In these cases, state officials had no authority to even take a look. Dangerous day care operators with checkered histories also flocked to the religious exemption. One woman ran at least a dozen problematic day cares by declaring herself a church. Other secular day care operators that state regulators shut down for putting children at risk rebranded themselves as religious to continue their businesses. Warren’s bill requires all day cares to be inspected each year by the Department of Human Resources. The department also would be able to inspect any exempt day care at any time if officials believe a child’s health or safety is at risk. Under current law, child care regulators cannot set foot in an exempt facility, though law enforcement, fire and health departments can look into complaints. Any new operators who want to open a religious exempt day care must notify the state and be inspected before opening. All unlicensed day cares also will have to submit annual reports to child care regulators showing that they have been inspected by local fire and health departments, conducted criminal background checks on employees, and have immunization records on file for children. Unlicensed day cares also must post public signs informing parents that the facility is unlicensed. “I didn’t get what I initially wanted in this bill, but in the long run, I think I got as much or more,” Warren said. Amy Julia Harris can be reached at aharris@revealnews.org. Follow her on Twitter: @amyjharris.